The Senate's rejection of universal background checks should be the start of a popular movement to hold our leaders accountable. The Senate’s defeat of common sense gun reforms made Wednesday a dark day—for sensible legislation, and for American democracy. The failure of an already-watered down background check compromise (55 senators backed reform; 45 sided with the NRA) revealed stunning political cowardice. And it illuminated once again the ugly fault lines of our corroded democracy—from the power of special and moneyed interests, to the stranglehold of small state bias (consider North Dakota, whose Democratic and Republican senators both sided with the NRA: the state gets one-fiftieth of our senators, despite having just over one five-hundredth of our population). If the nation’s laws fail to represent the views of the overwhelming majority of its people, representative democracy becomes an unsustainable exercise. Yesterday's vote—which too many media outlets casually and uncritically reported would “require sixty votes to pass”—showed how badly Democratic leaders miscalculated by not standing strong for true filibuster reform, and how urgent it is to take up that cause again. The 111th Congress saw more filibusters than the 1950s, '60s and ‘70s combined. Yet amidst the shame and ignominy, what also must be understood is that this struggle to curb gun violence, to join the civilized world, will take time and—most of all—a movement. Supporters of common sense reform have strong and good allies within Congress, and outside of it. If activists were to walk away in disgust, and hand victory to those Republicans and Democrats who obstructed a humane compromise, then a painful setback would become a lasting tragedy. In our collective shock over the horror of Sandy Hook, many in the country expected immediate action from Congress. But this Congress is incapable of acting quickly. While in the gaze of history it may have seemed quick, we’ve forgotten that it took five years of persistent effort across the nation to pass the Brady Bill, the ban on assault weapons and the ban on large capacity magazines in the '90s. In that period we built a national movement, changed the dialogue, and did what everyone thought was impossible. We slayed the dragon. You could well see that process replayed here, but over a comparatively shorter stretch of time. The 2014 cycle is not that far away, and with polls consistently showing support for gun reform, members in marginal seats may well pay a price for resisting gun reform efforts. 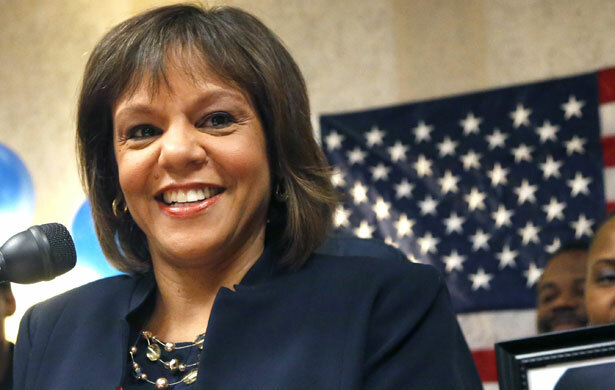 Gun reform advocate Robin Kelly’s recent Illinois special election victory offers a positive sign of things to come. As strategist Bob Creamer noted Wednesday night, siding with the NRA could prove a heavy electoral albatross for Republicans in keeping the House or taking the White House. As Gabby Giffords promised in a powerful op-ed, “if we cannot make our communitites safer with the Congress we have now, we will use every means available to make sure we have a different Congress, one that puts communities’ interests ahead of the gun lobby’s.” Even more encouraging has been the passage of strong, smart statewide gun control laws in Connecticut, Maryland and New York—all states led by governors with a rumored eye towards the Democratic presidential primary in 2016. Activists in these states and others should keep the pressure on to rack up more victories that can filter up to Congress. The struggle will stay fierce. As retired ATF special agent Ivar Paur wrote recently, “To most of us, including a majority of gun owners, universal background checks are a public safety issue. To the industry and NRA however, they are a loss of sales and stagnant membership.” For a historical view of the NRA’s descent into ghoulish theatrics, just comb through Mother Jones’ recent gallery of NRA ads through the years: from the tame “Do You Belong to a Rifle Club?” (1920) to the indefensible “What’s the first step to a police state?” (1993). While working to transform the role of money in politics, at this moment we must build a countervailing force to the cash and lobbying of the gun manufacturers and their servants in the NRA, who put fear above safety time and again. The financial commitment made by Mayor Bloomberg to counter the NRA’s financial advantage through Mayors against Illegal Guns is a potential game-changer. So are newly emergent groups like Gabby Giffords' and Mark Kelly's Americans for Responsible Solutions. But more than money, or a clever message, or a future horror, what will make it possible to beat the gun lobby is organized people. As New York’s crusading Attorney General Eric Schneiderman observed on Twitter, “We need to get Americans organized& passionate about #gunsafety& guaranteeing #background checks…” In the 90’s, the NRA massively outspent those fighting for an assault weapons ban/Brady Bill, but the good guys won. The hard truth is that while nine out of ten Americans say they support background checks, they aren’t mobilized in the ways they’ll need to be if we’re to overcome the intensity of the NRA. As long as the struggle remains one between a passion and a preference, the NRA – armed with a battery of scare tactics and willful lies – will win every time. As the President said Wednesday night, “all in all, this was a pretty shameful day for Washington. But this effort is not over.” If we act like it is, we’ll have no one to blame but ourselves. With the Obama administration invoking the Espionage Act a record number of times, we need to celebrate whistle-blowing now more than ever, Katrina vanden Heuvel writes.